This homeowner had a small waterline leak leading to his refrigerator. It had probably been leaking for some time before being discovered and fixed. There was obvious water damage in the kitchen, but, as a precaution, we check other areas to where water MIGHT travel, like the adjoining rooms and areas below. This floor "looked" dry, but there were some subtle clues that the floor might be wet. The baseboard is pulled slightly away from the wall (on the left), and the floor is beginning to "cup", meaning the edges of the planks are starting to curl upwards. Readings with the thermal imaging camera and the non-obtrusive meter (shown) shows above average moisture present. Call 708-430-3600 for the same quality inspection. 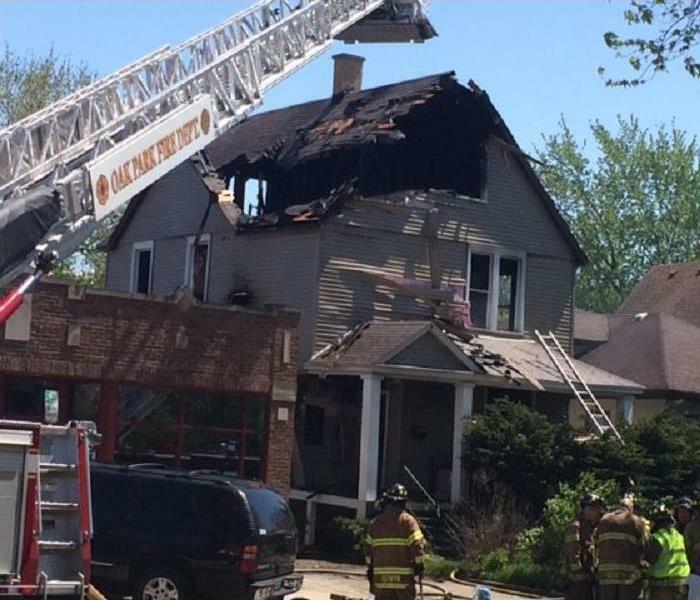 This home had a dryer fire, large enough that the fire department had to put out the fire in the basement. SERVPRO Bedford Park/Burbank was called to do the clean up. The homeowner only wanted us to check the fire/smoke damage in the basement, that "Nothing made it upstairs." During our inspection, we found plenty of smoke/soot in rooms far away from the basement. Here at SERVPRO Bedford Park/Burbank, we'll do whatever it takes to keep the homeowner safe and secure, and not just happy. If you want the same complete service, give us a call at 708-430-3600. You'll be glad you did! 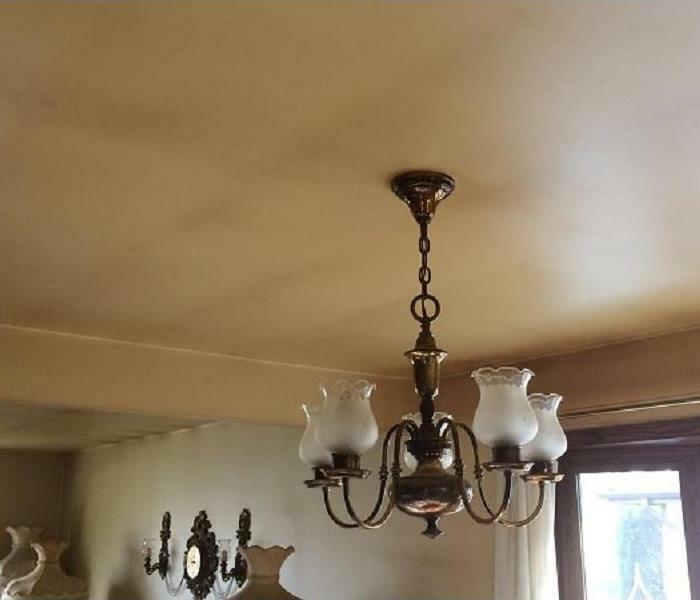 What caused these lines on the ceiling? Here are a couple of rooms that have black lines on the ceiling. There was no fire in these rooms, nor anywhere in the house. Can these lines be mold? Something else? These lines are caused by soot left over from heavy cigarette and candle use. The warm air carries the soot particles up to the ceiling, where it collects near the rafters there. Through repeated use and lack of ventilation, enough soot collected on the ceiling to show these black lines. Homeowners inexperienced in cleaning this type of smoke and soot may set the stain permanently into the walls and ceiling, where paint is the only option. Call the experts at SERVPRO Bedford Park/Burbank at 708-430-3600, where we will come out, access, and give you a plan on how to get your home back to normal again. Whether you're gone on a two week vacation, or winter down in Arizona, the last thing you want to see when you return home is mold on your walls. Mold flourishes when there is an abundance of moisture present in the air. The first thing to determine is how the moisture got there. Is there a pipe leak? Condensation? Another cause? The moisture issue must be fixed before any mold remediation can occur. 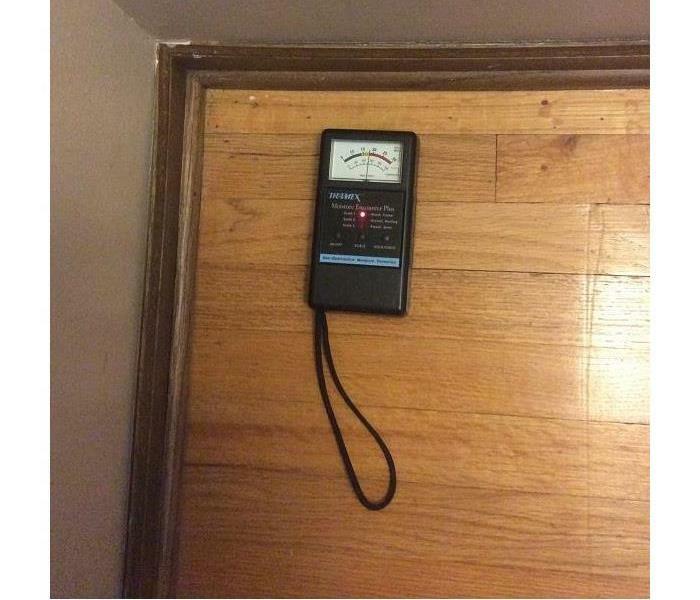 Once that has been accomplished, then a check of where the moisture migrated, such as under a floor, inside a wall, etc. Then structure drying can then begin. 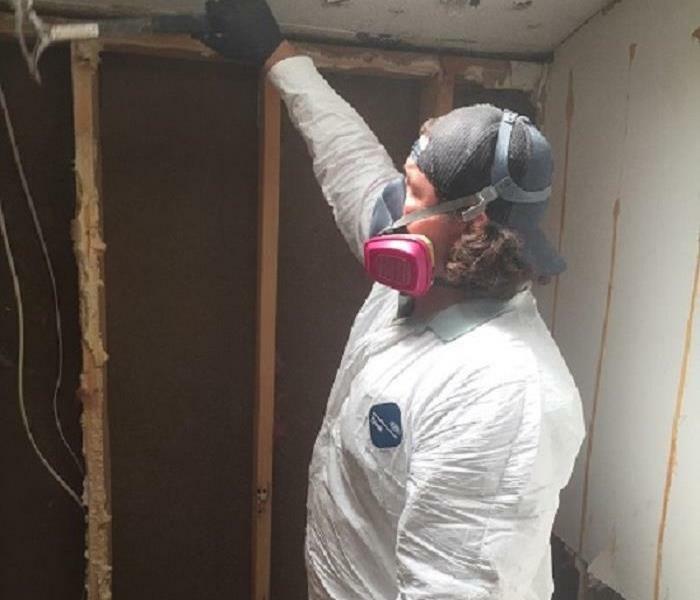 Containment must be set up to help prevent cross contamination to unaffected areas once the mold remediation starts. Finally, an anti-microbial spray is used to help prevent further mold issues. if you suspect mold in your home, call the experts at SERVPRO Bedford Park/Burbank at 708-430-3600. The manager of this business had water issues that started next door. He called us out to check to make sure the walls and carpet were dry. He said he knew the carpet was dry, "because it feels dry." We only had to turn on the thermal camera to determine that he was wrong. Notice the blue/purple areas; that's where moisture is hiding in the carpet and pad. If gone unchecked, mold growth would have been a high probability. Not sure about wet walls or carpet after a water damage? Call the experts at SERVPRO Bedford Park/Burbank. 708-430-3600. 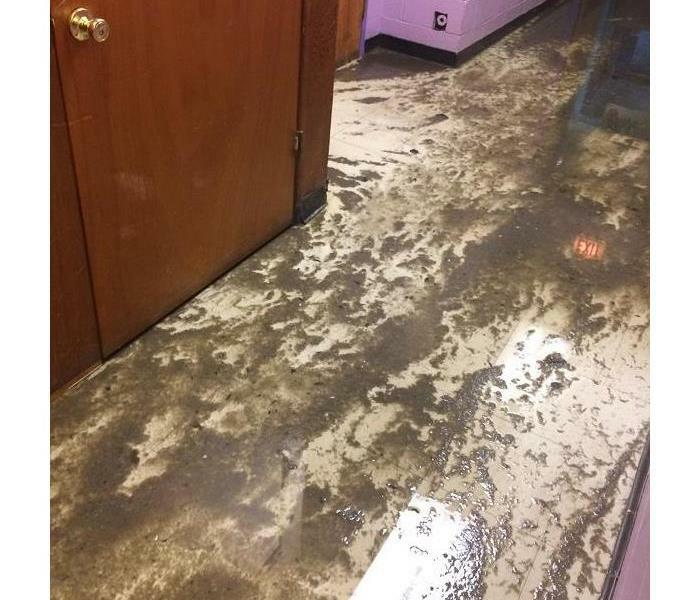 Heavy rains caused rain water and raw sewage to back up through the drains and toilets in a local Youth Center. Five rooms and a couple of hallways were affected. SERVPRO Bedford Park/Burbank swooped in, extracted the water, cleaned and sanitized, and made this disaster "Like it never even happened." Recently, SERVPRO Bedford Park/Burbank was called out to remediate mold from a local apartment complex. The property manager used SERVPRO many times in the past, and knew the job would be done completely and quickly. This was no different. Heavy rains hit the area, and you had a sewer backup into your lower level. Are you prepared to deal with it properly? Spray an anti-microbial, to help prevent mold growth? We are! A simple call to SERVPRO Bedford Park at 708-430-3600, and we can get the process started! 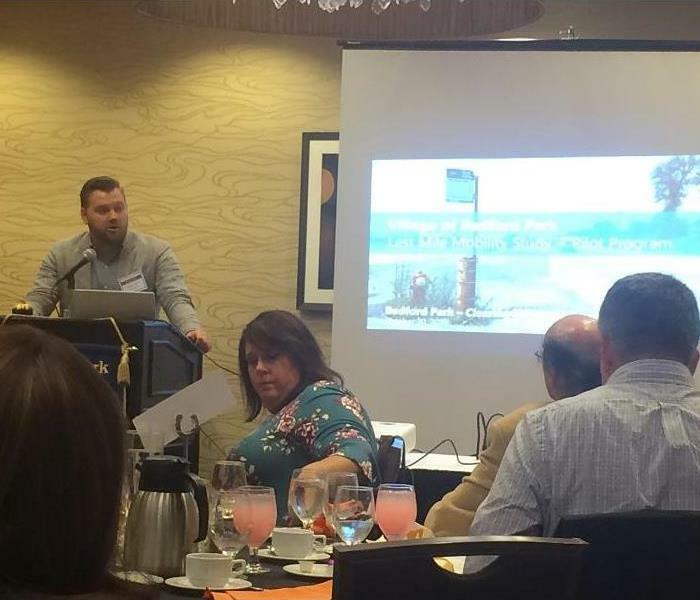 In October, Rick Gauger from SERVPRO Bedford Park/Burbank attended the quarterly meeting of the Bedford Park Clearing Industrial Association. The speakers were: Ryan Ruehle from Pace Suburban Bus, and Curtis Witek (pictured) from the Antero Group. They both discussed how to improve traffic flow, transit safety throughout the community, as well as more efficient public transit. Mold spores float around, waiting for moisture and something to eat. When not treated quickly and properly, mold can colonize and grow. In this case, mushrooms spores were floating around when the basement received some water. Since no one was home at the time, mold and mushrooms grew and flourished. SERVPRO Bedford Park/Burbank is trained to handle all types of mold, including mushrooms. 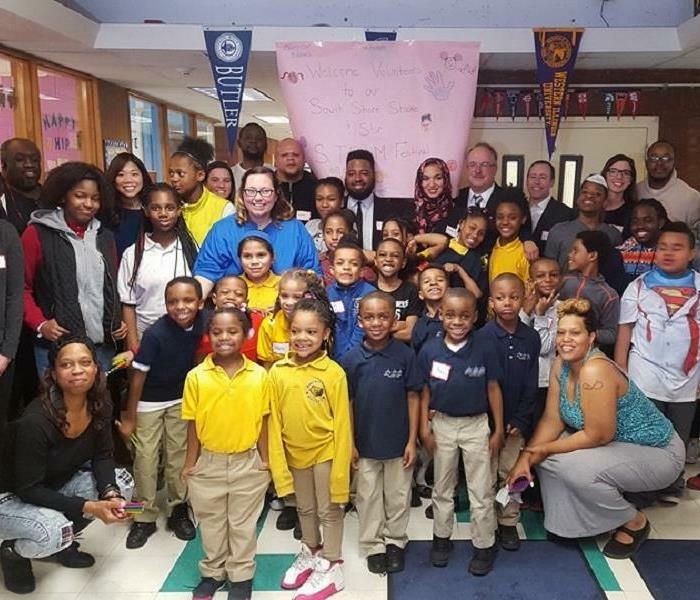 On August 22, 2018, the ribbon was cut, officially opening the new Luther Burbank School. SERVPRO Bedford Park/Burbank was in attendance and took the tour, but also performed the FREE Emergency Ready Profile for this school. The other schools in this district, as well as the district office, were completed previously. Thank you for all those at Burbank School, as well as SD #111, for entrusting SERVPRO Bedford Park/Burbank with any disaster concerns. Best of luck in the new school year! In August, 2018, SERVPRO Bedford Park/Burbank attended a 2 - day regional corporate course on handling commercial clients' losses. Keeping current and up-to-date, especially large commercial accounts, helps keep SERVPRO Bedford Park/Burbank ahead of the rest. You cane be certain that every effort possible will be taken to get that commercial property 100% operational again! 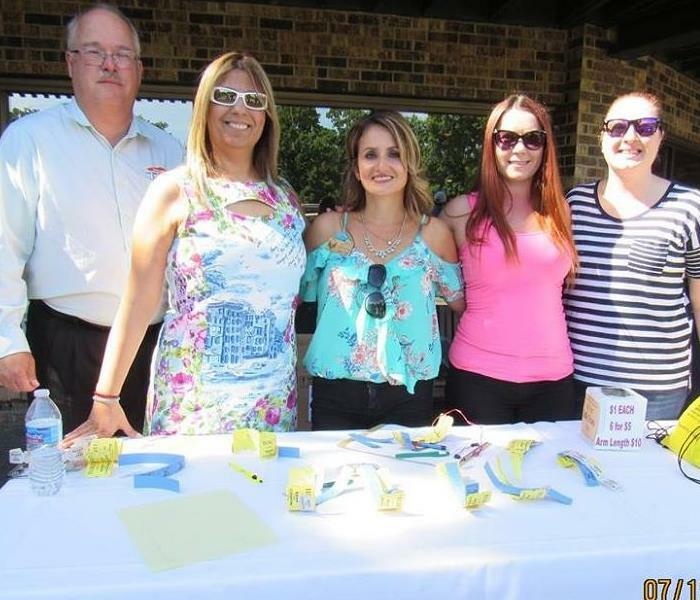 Recently, the Bridgeview Chamber of Commerce held its annual golf outing at Old Oak CC. This is the biggest fundraiser of the year for the Chamber, with a large portion of the money going towards local scholarships. Once again, SERVPRO Bedford Park/Burbank was there, lending a hand in raising money for this worthy cause. Our Marketing Rep, Rick Gauger, ran the "Closest to the pin" contest. 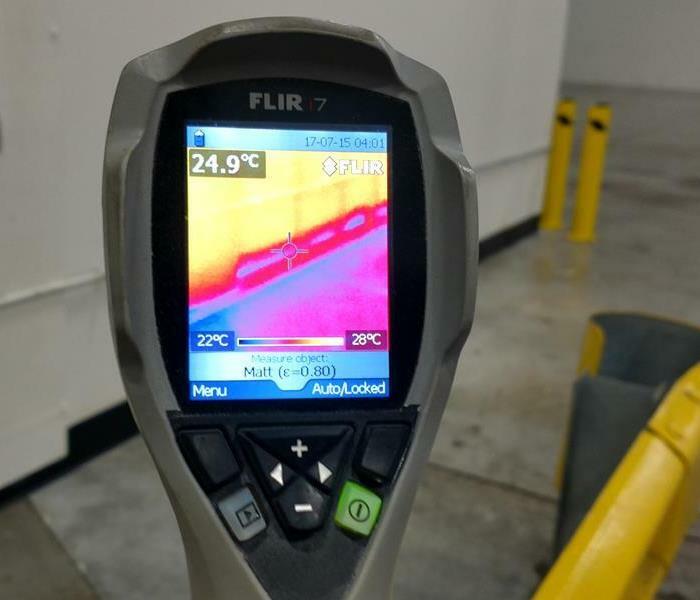 This commercial warehouse in Chicago had water damages from a leaking pipe. The maintenance crew extracted the water from the floor, but, using the thermal imaging camera, SERVPRO discovered the water had migrated to the walls as well. Notice the blue areas towards the bottom of the walls on the camera screen. That's where the moisture is. Large or small, we make it "Like it never even happened." What you see is the aftermath of a kitchen fire at a home in Summit. 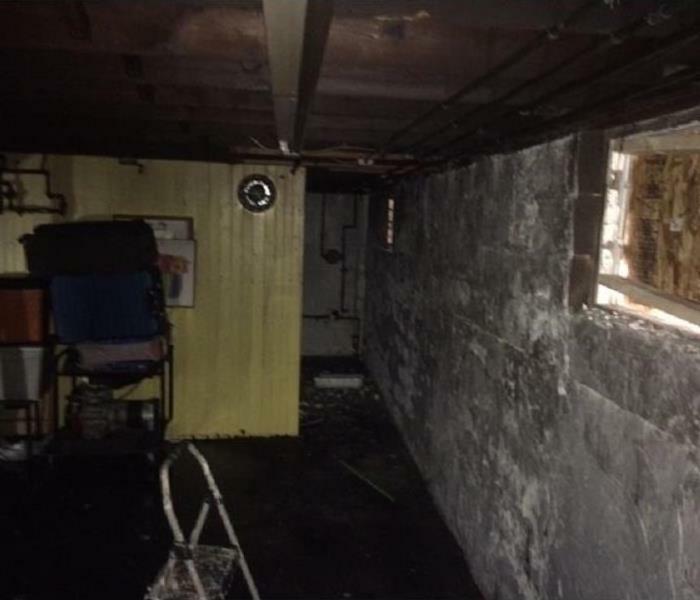 The fire travelled through the walls and flooring, nearly destroying the kitchen and causing extensive smoke and soot damage throughout the remainder of the house.You can see the smoke and soot damage to the walls in the basement below the kitchen. SERVPRO of Bedford Park/Burbank salvaged as much structure as possible, as our overall goal is to make fire damages "Like it never even happened." Where there's fire, there's smoke! 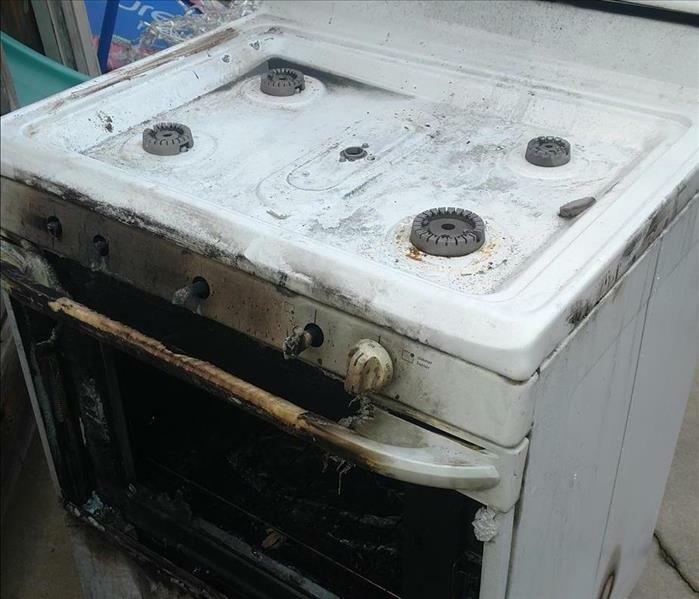 Once the fire is put out, damage must be assessed to see what areas were affected. Sometimes, at first glance, you think a room did not suffer any damages at all. Smoke is a byproduct of the fire, and it gets into just about everything. It's found in drawers, cabinets, wall cavities, etc. It doesn't need much room to creep into any crevice. SERVPRO Bedford Park / Burbank has ways to determine where the smoke traveled. In the photo, you see a sponge, specifically designed to attract smoke particles. 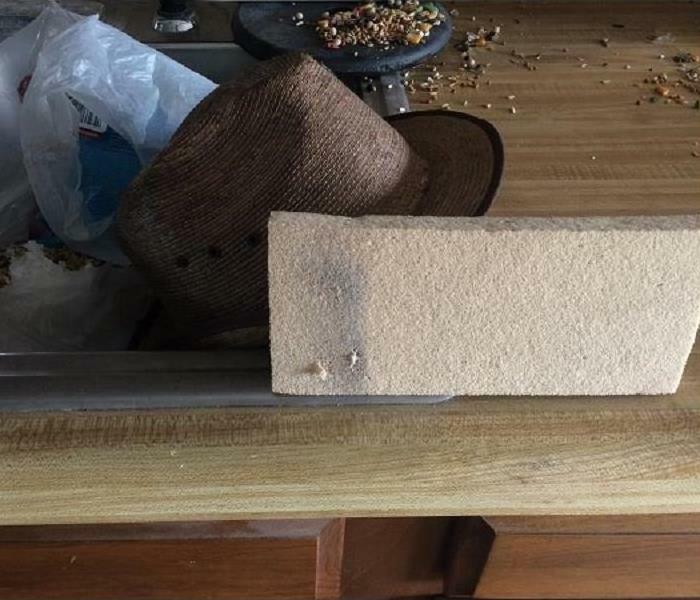 Though the counter looked clean, you see smoke the sponge found. If you suspect you have smoke damage, call the experts at SERVPRO Bedford Park / Burbank at 708-430-3600. Taking precautions when working with mold. Mold can be very dangerous. That's why we have our crews wear the Tyvek suits and respirators. The suits serve another purpose as well; it helps to prevent cross contamination from unaffected areas in the house. The suits are removed prior to leaving the affected areas (where we are working), and it keeps as many mold spores as possible away from the areas not affected. Everyone is prepared for a fire. Smoke alarms alert you that a fire has started. Some homes are equipped with sprinkler systems, while others have fire extinguishers to battle a small fire. You have your furnace or AC checked in preparation for the winter or summer season. Can’t have a breakdown when the weather turns extreme. But are you prepared for the next storm? Have you checked your sump pump? Do you have a battery backup? Do you have cardboard boxes or other loose contents in your lower level, where they could get wet or damaged? 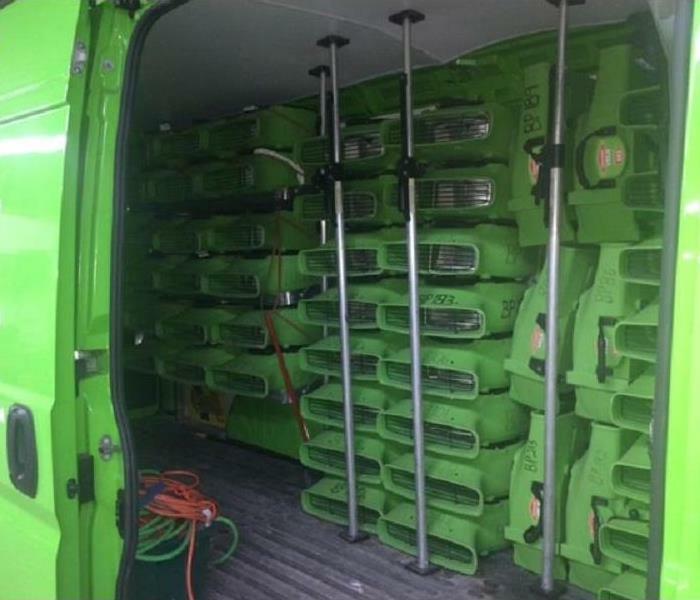 SERVPRO Bedford Park/Burbank is already prepared for the next storm. We have equipment staged and ready, so if a call comes in late at night or on the weekend, time won’t be wasted loading a truck. 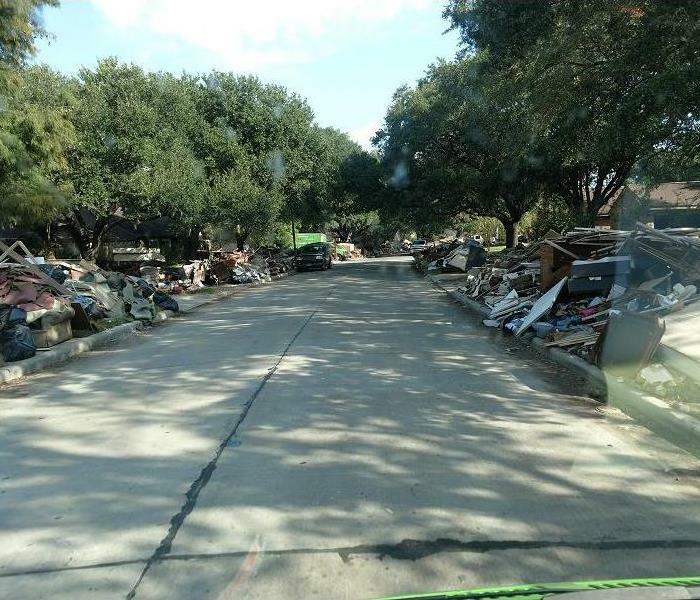 We’ll get to your home ASAP to help mitigate your damage! This scene greeted SERVPRO Bedford Park/Burbank upon arrival. 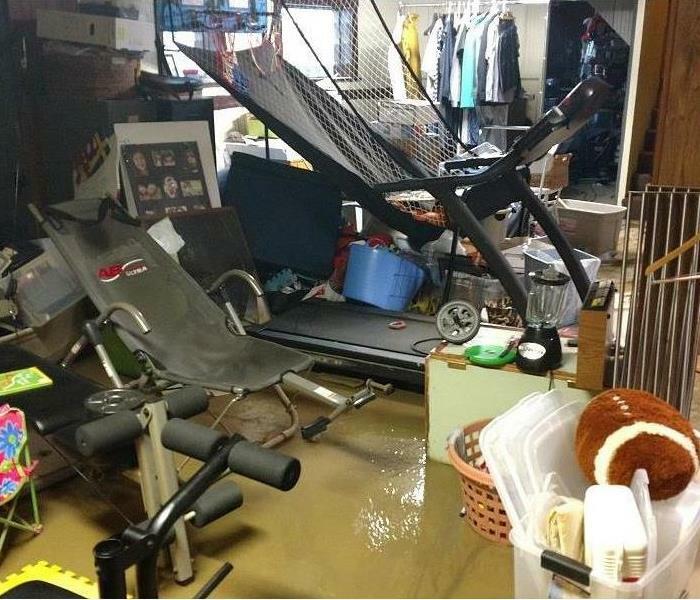 This homeowner tried to keep up with the flow of water, but it became too much to handle. We extracted the water, dried the structure, and put her mind at ease. 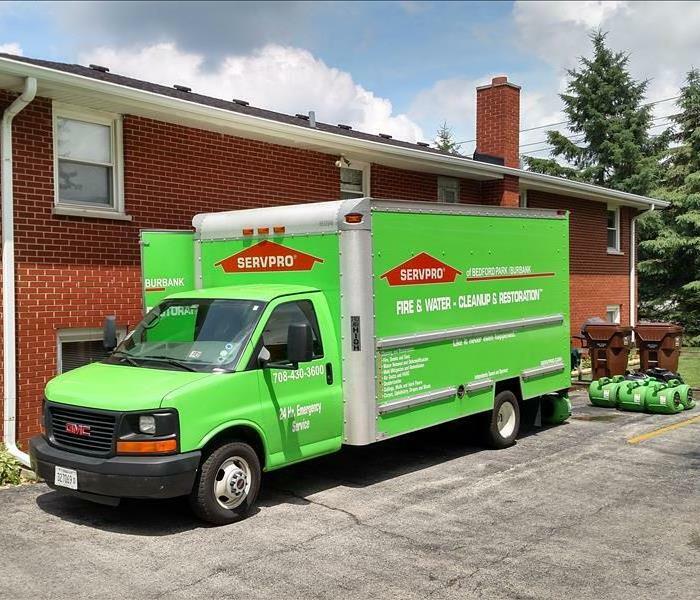 SERVPRO Bedford Park / Burbank is there when you need us! Imagine coming home after a hard day's work and find this! This homeowner was even out of town when this damage happened. One call to SERVPRO Bedford Park / Burbank, and we came out, assessed the damage, and mitigated the damages. 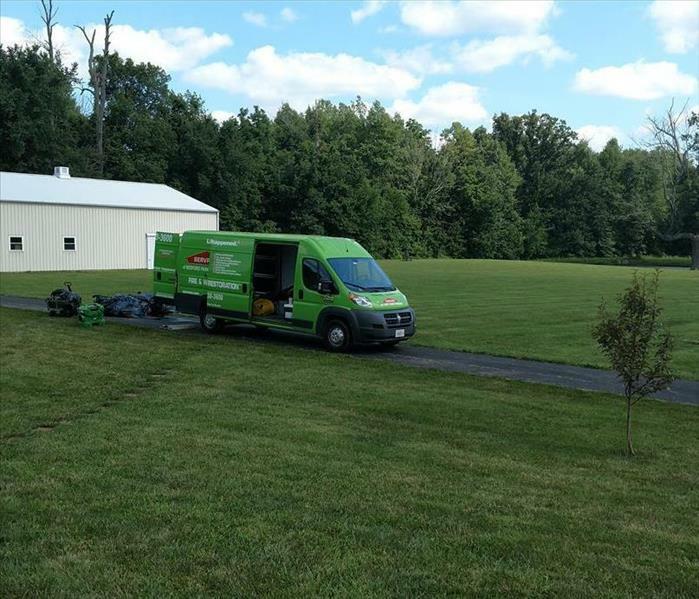 SERVPRO of Bedford Park/Burbank can handle any size job! 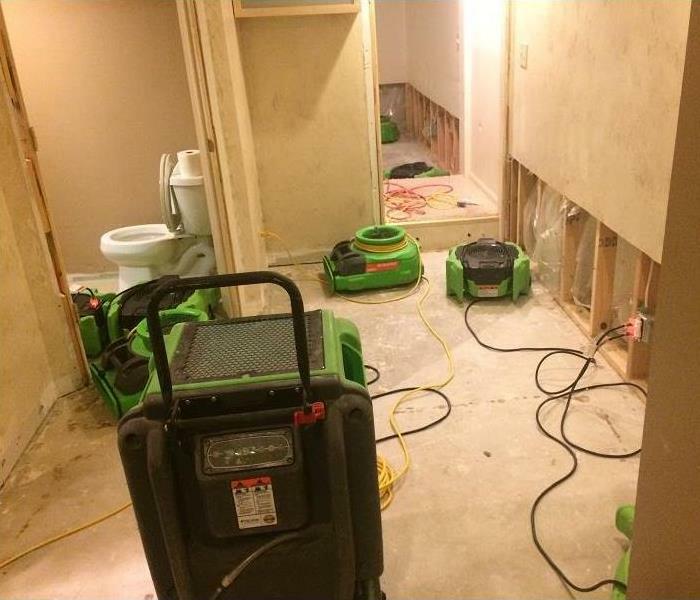 SERVPRO of Bedford Park/Burbank recently assisted a Bank when their basement flooded. There’s never a convenient time for flooding or water damage to strike your business. Every hour spent cleaning up is an hour of lost revenue and productivity. So, when an emergency situation arises in your business, give us a call at 708-430-3600 and we’ll be there fast with the help you need. 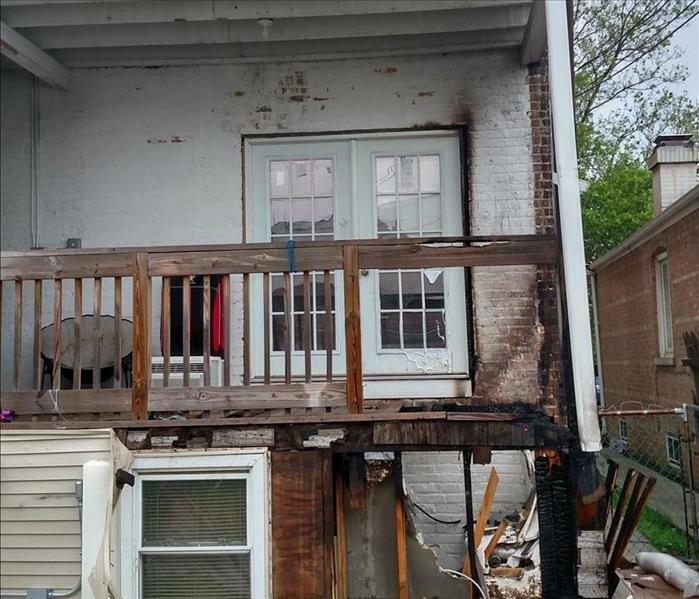 This home’s porch caught on fire, due to an electric issue, thankfully no one was injured! But there was smoke damage throughout the house and, extensive water damage inside the house from firefighter’s efforts. 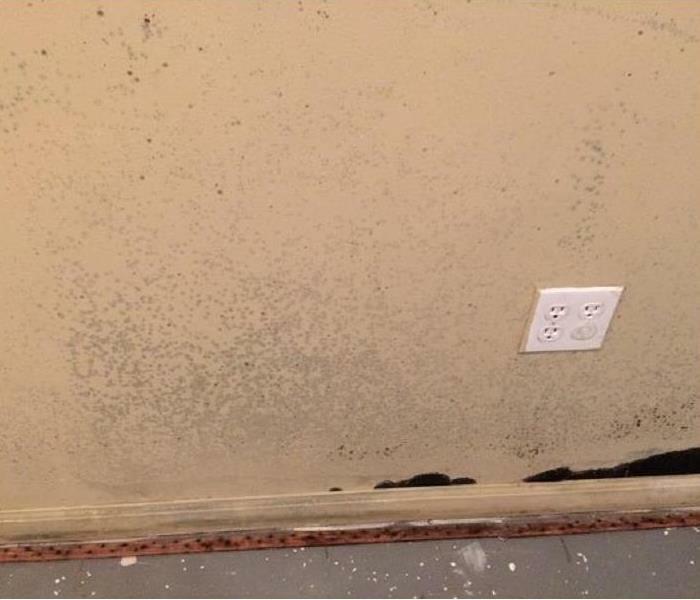 Mold starts growing rapidly after unattended water damage. Once water damage has happened, the clock is ticking before it gets worse. 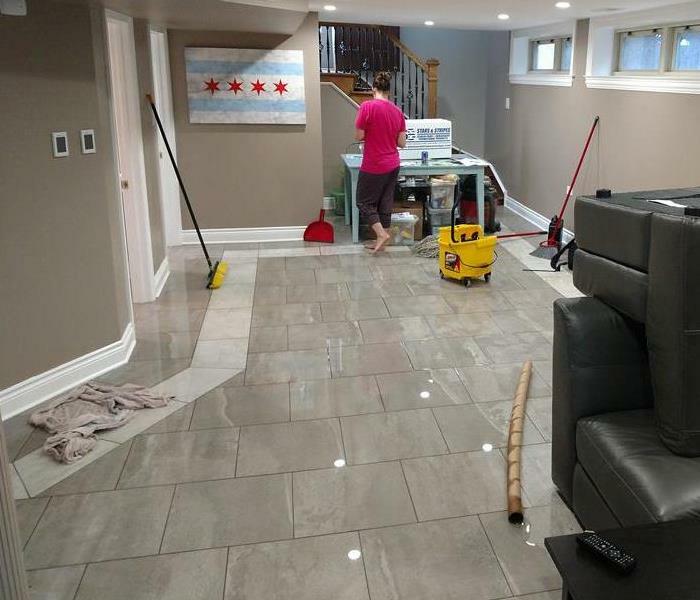 You don’t have the luxury of waiting around for a convenient time to take care of the water damage. 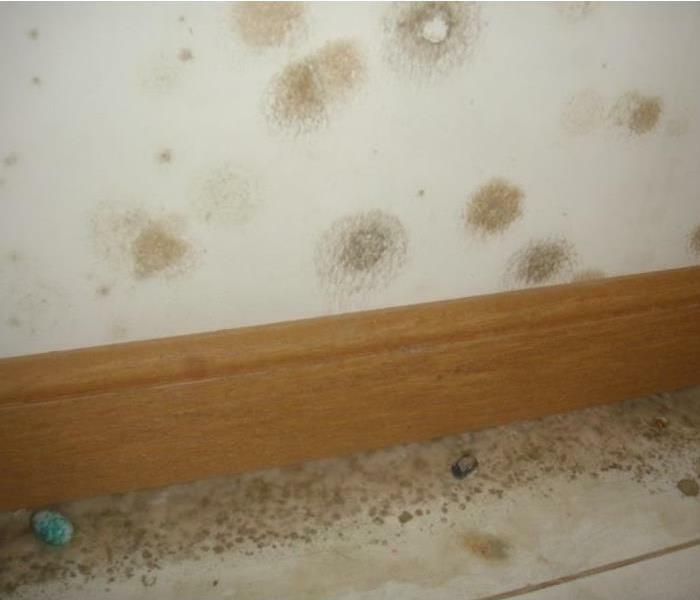 Mold starts growing rapidly if water damage is not handled immediately! Damp or wet crawl spaces/basements are often a source of health and structural problems in buildings. Wet areas beneath the occupied space invite mold contamination, insect attack, and structural rot and may also contribute to bacterial hazards. SERVPRO of Bedford Park/Burbank can help you with your affected crawlspace/basement. Please give us a call to 708-430-3600 to schedule an inspection! There are times that SERVPRO Bedford Park / Burbank get the call and arrive at a job site, while the fire departments are still there! As soon as the house is released by the fire inspector, we are ready to go. The crews and equipment were standing by in this case, and made this job as seamless as possible. This vehicle was involved in an accident upon returning from a supermarket. 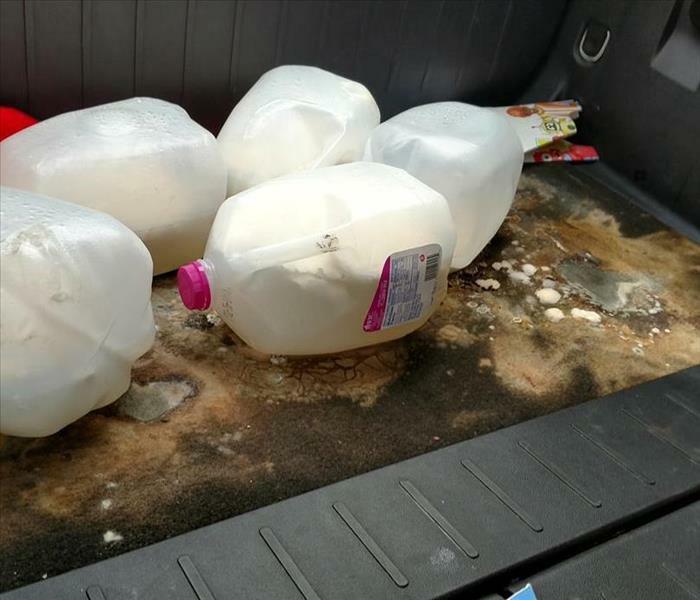 A couple gallons of milk was in the back, and the containers leaked milk all over the back carpet and into crevasses down deep. The vehicle was stored in an impound lot for months. Mold grew, and flourished, inside the closed up vehicle. 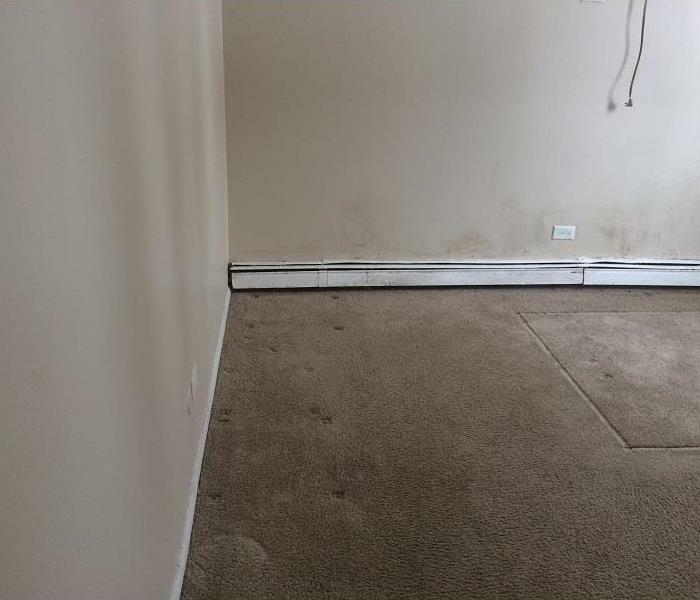 SERVPRO of Bedford Park/Burbank was called in, and we not only performed the mold remediation, but also deodorized the inside so well, there wasn't even a trace of moldy milk left. Graffiti Removal at a Skatepark. Vandalism and graffiti can be very upsetting, it can range from relatively minor pranks to malicious destruction of property. 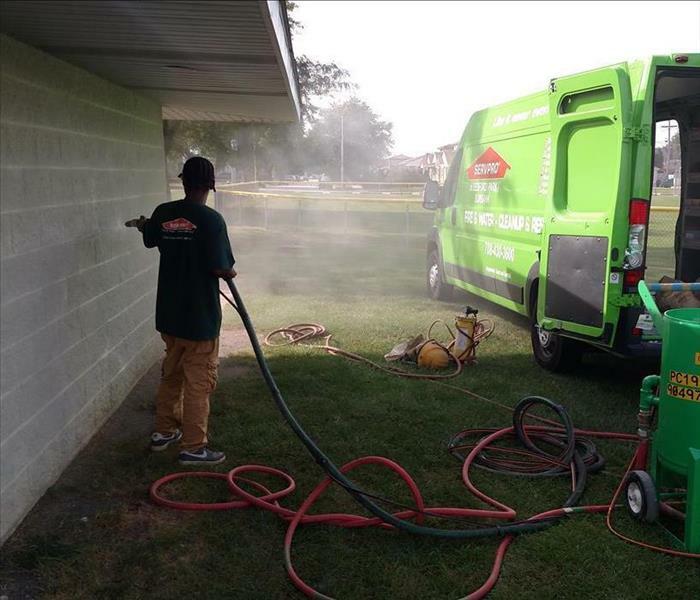 Here Our highly trained cleaning technicians are performing graffiti removal at a Skatepark. 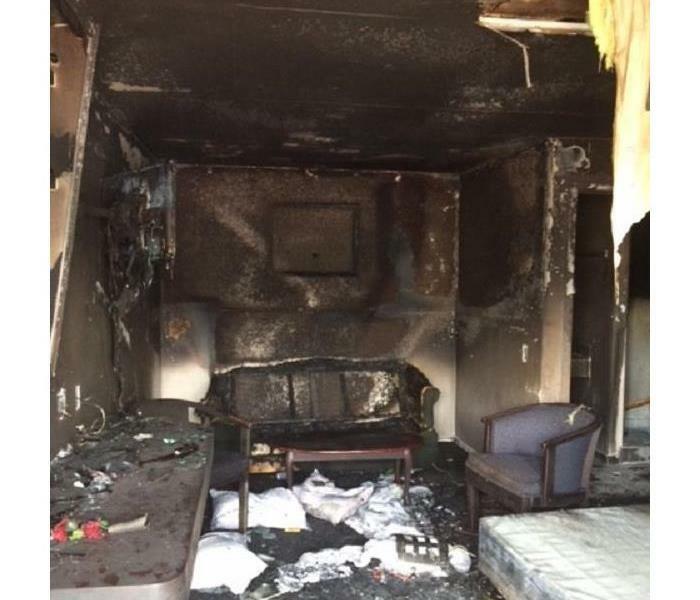 This is the aftermath of a fire in a room at a local motel. The adjacent rooms had some smoke and water damages as well. The owner was happy we were able to clean and dry the adjacent rooms for use that weekend, as we tackled the cleanup in this room. 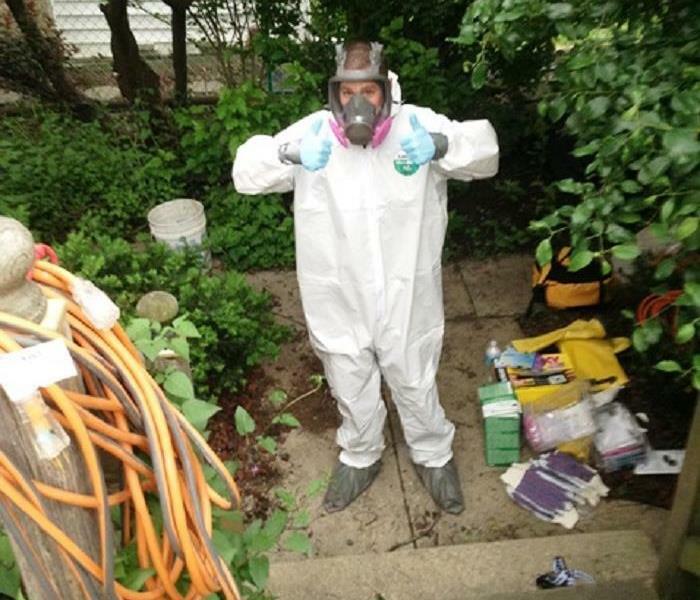 SERVPRO of Bedford Park/Burbank recently performed Mold Remediation in an Attic! Lack of adequate attic ventilation/Improper ventilation. Improperly exhausted bathroom fans or dryer vents. Failure to install enough roofing (Ice Shield Membrane). Existing or past roof leaks. 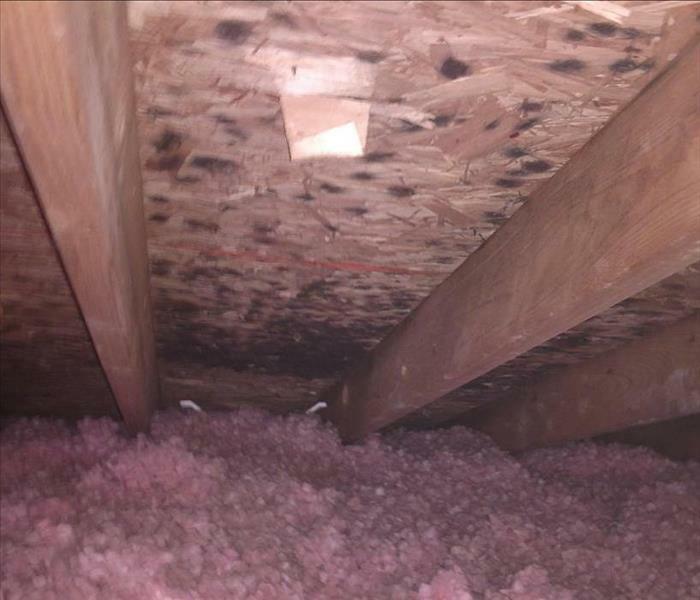 SERVPRO of Bedford Park/Burbank can help you re-mediate the mold in your attic. Please give us a call at 708-430-3600 to schedule an inspection. There's never a convenient time for fire or water damage to strike your business. Every hour spent cleaning up is an hour of lost revenue and productivity. 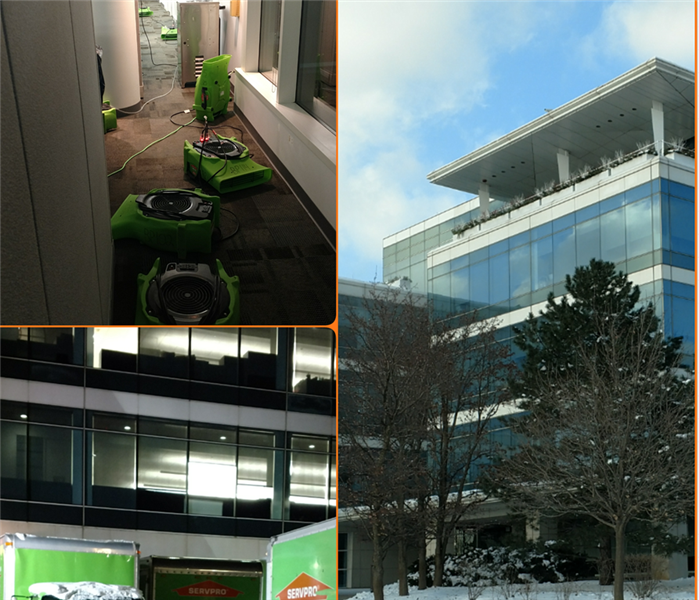 Here is SERVPRO of Bedford Park/Burbank assisting a large water loss in a commercial building in Burr Ridge, IL. SERVPRO of Bedford Park / Burbank has the training, experience, and equipment to handle large commercial flooding or water damage emergencies. Car caught on fire inside a garage in Cicero, IL. 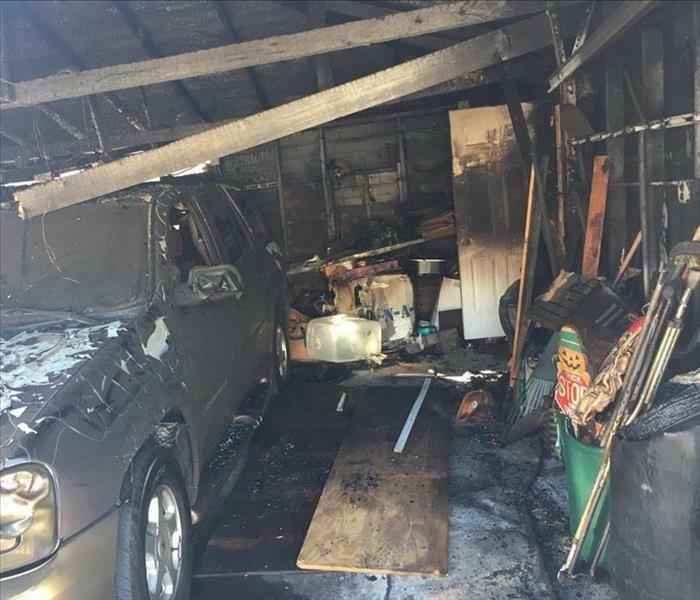 SERVPRO of Bedford Park/Burbank assisted a customer after their car caught on fire inside their garage. We worked together with the insurance adjuster and customer to evaluate affected contents to determine whether cleanable or total loss. Post Construction Cleaning at a Commercial Property. Work does not end once a commercial construction project is completed. After construction workers have packed up their supplies and equipment, the area requires a thorough cleaning. 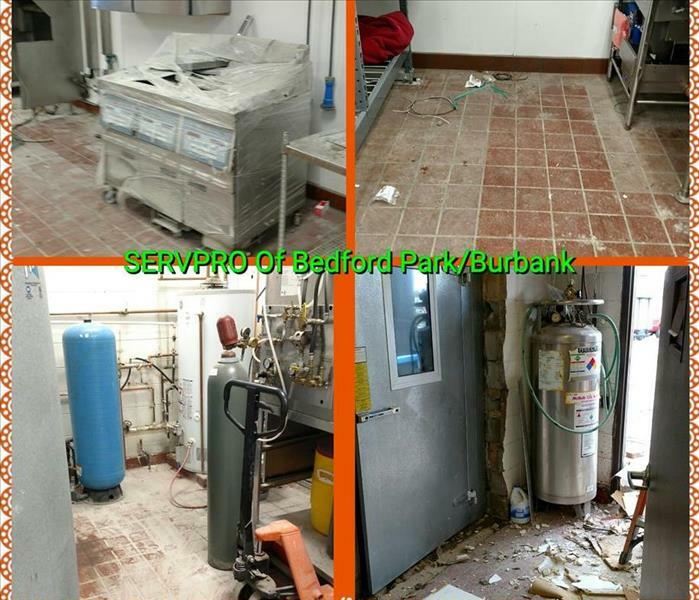 SERVPRO of Bedford Park/Burbank recently performed a post construction cleaning to a famous Burger Restaurant in the Chicago area. 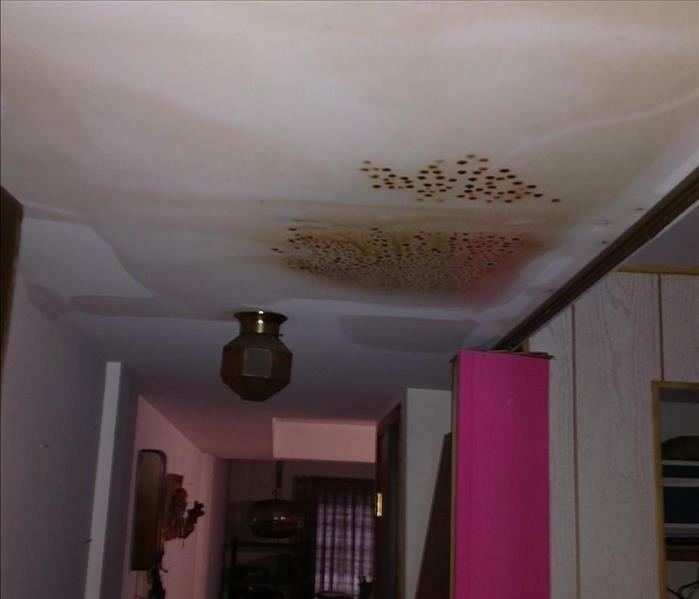 A local homeowner was enjoying her vacation in the islands, while at home, a pipe was leaking behind a wall. 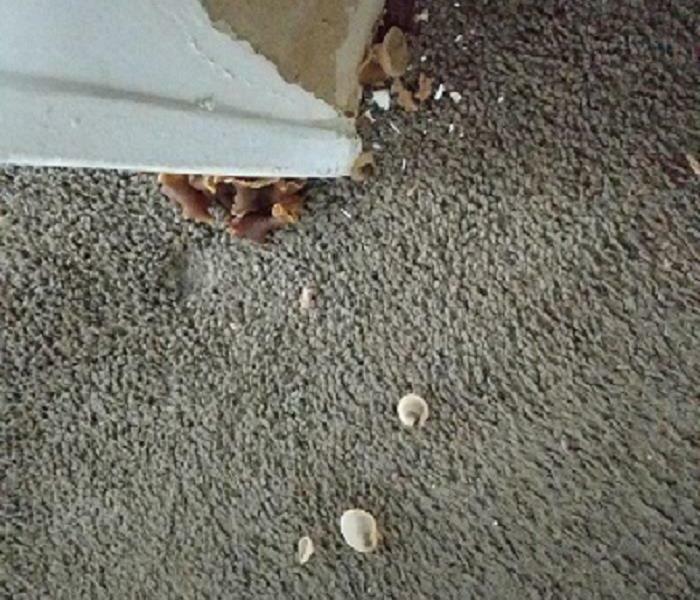 When the homeowner returned home, mold greeted her. SERVPRO Bedford Park / Burbank came out, discovered the source of the leak, and remediated the mold, getting her back to normal living ASAP! SERVPRO of Bedford Park / Burbank assisted a customer with decontamination of their home! 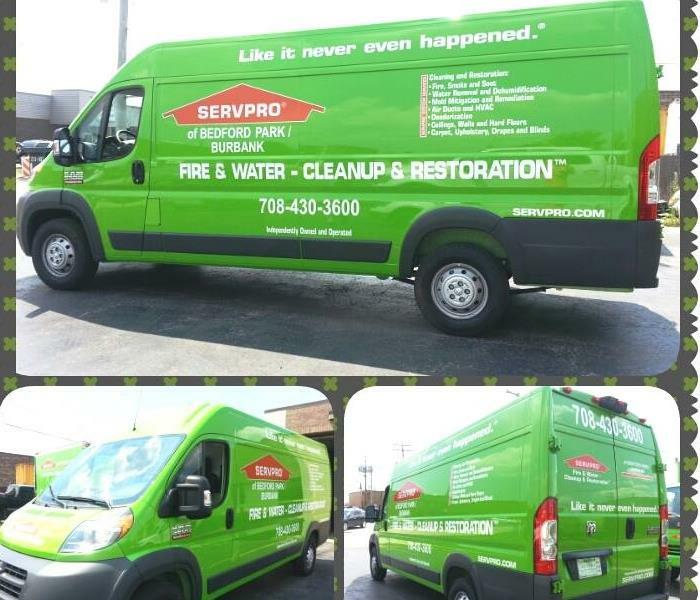 Equipped with the necessary safety apparatus and cleaning products, SERVPRO of Bedford Park / Burbank helped transform an unhealthy environment back into a clean/safe home. SERVPRO of Bedford Park / Burbank received a call from a customer asking for our help, it was her grandma's apartment unit that suffered with water damage due a toilet overflow, leaving the apartment with at least 3 inches of standing water! We responded to this emergency only 25 minutes after the initial call was received at our office. 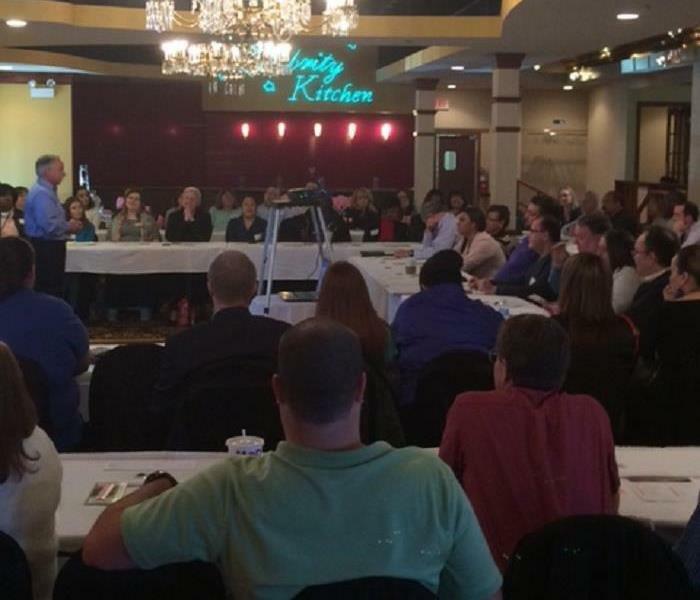 Recently, SERVPRO Bedford Park/Burbank held an Ethics class, for the insurance agents in the area. The agents are required to take this class once every two years, and we here at SERVPRO are happy to help fulfill that obligation. 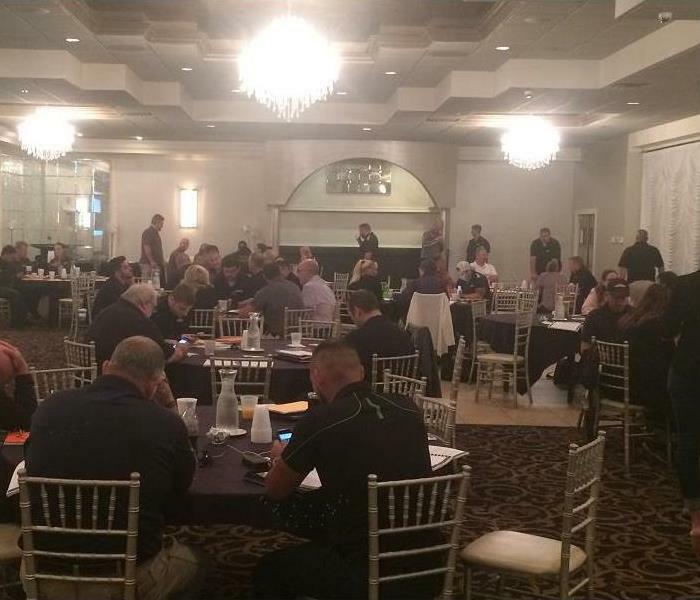 Approximately 40 insurance agents were in attendance. SERVPRO Bedford Park/Burbank holds this class at least once a year, so as many agents as possible can attend. SERVPRO Bedford Park / Burbank spent the entire month of September helping those in the Houston, TX area recover from the historic flooding of Hurricane Harvey. 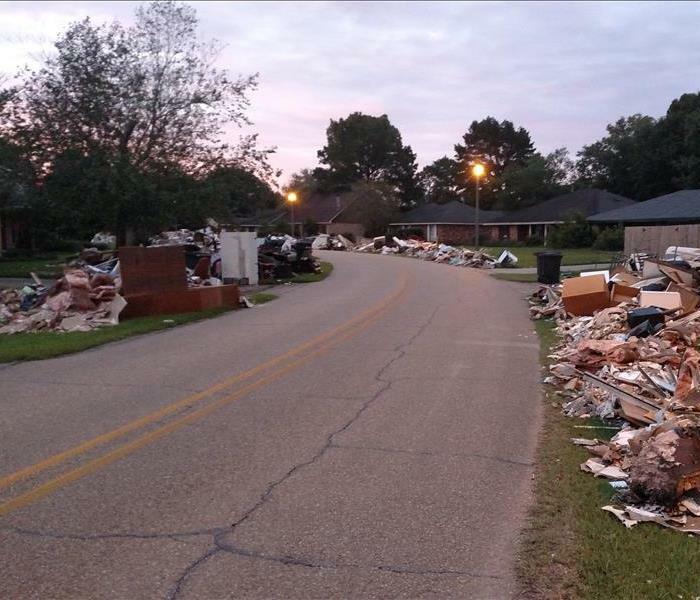 While many people lost everything, some only lost items on the first floor, such as: cabinets, drywall, furniture, appliances, etc. We cleaned out the mess, dried the remaining structure, and sprayed an anti-microbial to help prevent mold growth. It's the first step in getting those people back living a normal life again, and we are happy to help! Flooding due to Heavy Rains in the Columbus, OH area. 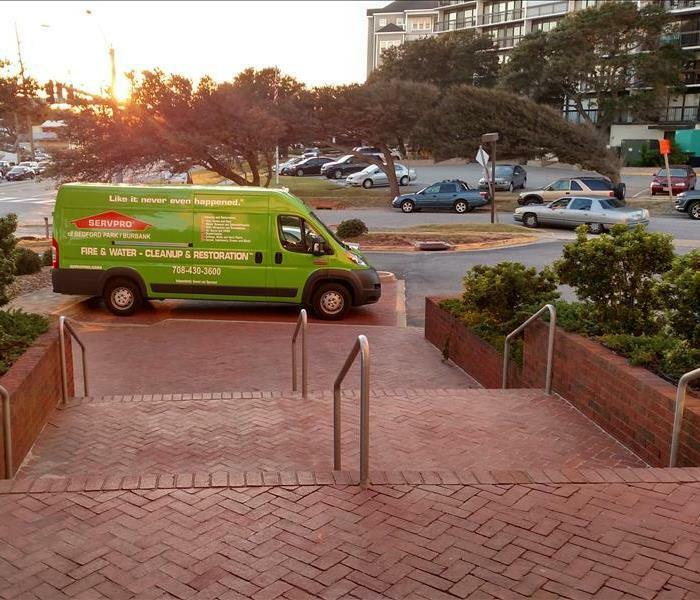 One of our trucks parked outside of a condominium building while our Crew Chief performs a Water Damage Inspection in one of the Condominiums in Virginia Beach, VA! 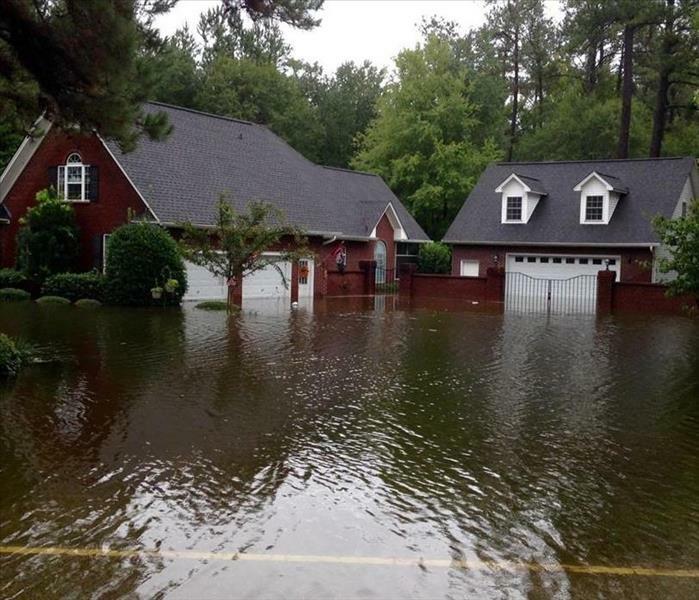 Hurricane Matthew’s heavy rain and strong winds caused severe flooding and power outages in the Virginia Beach area, thousands of resident's homes were affected with water damage. 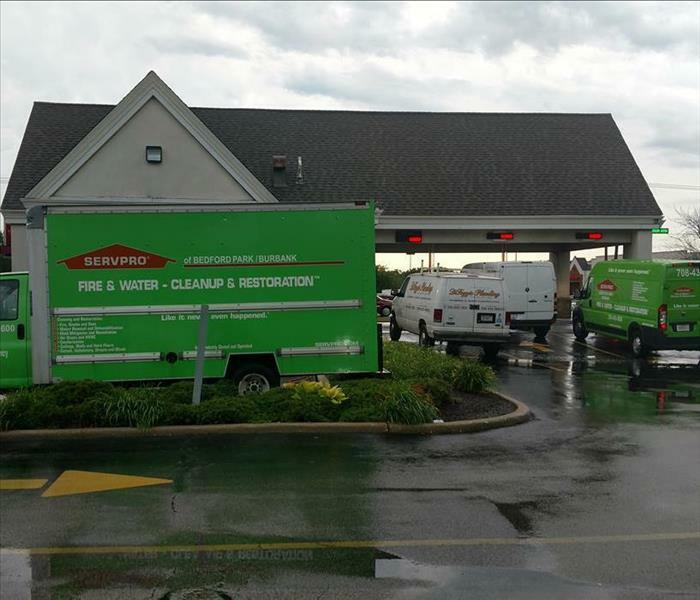 SERVPRO of Bedford Park/Burbank has participated not in one, but many storms around the country. This time we traveled to South Carolina back in Oct/2015, where catastrophic flooding occurred, it produced heavy rain in multiple states (North and South Carolina) causing numerous rivers burst their banks, washing away roads, bridges, vehicles, and homes. 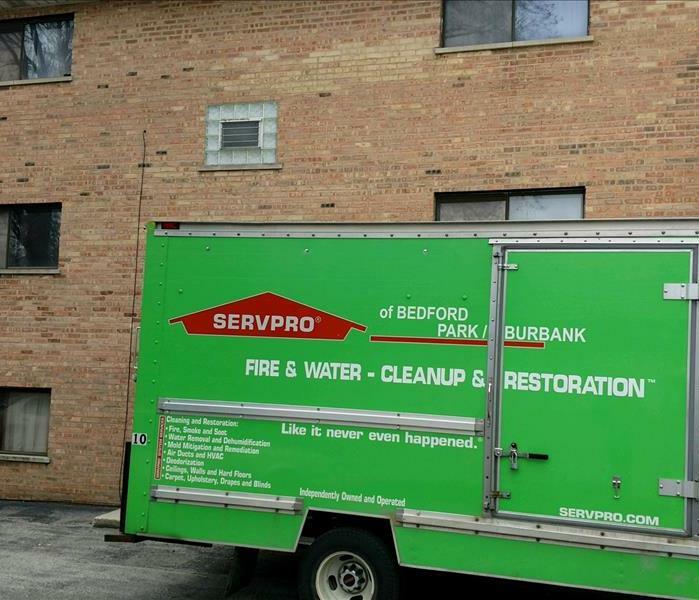 SERVPRO of Bedford Park / Burbank working at an apartment building after the recent storms. We helped by extracting the water and drying out the structure. You can see some of the drying equipment behind the truck. We not only act fast to every call we get but we also are always prepared for any emergency. Recently, SERVPRO Bedford Park/Burbank held a golf fundraiser, benefiting the fire departments of Bridgeview and Burbank. The Bridgeview Fire Department also brought a fire truck and ambulance, to allow kids of all ages to climb on and explore. 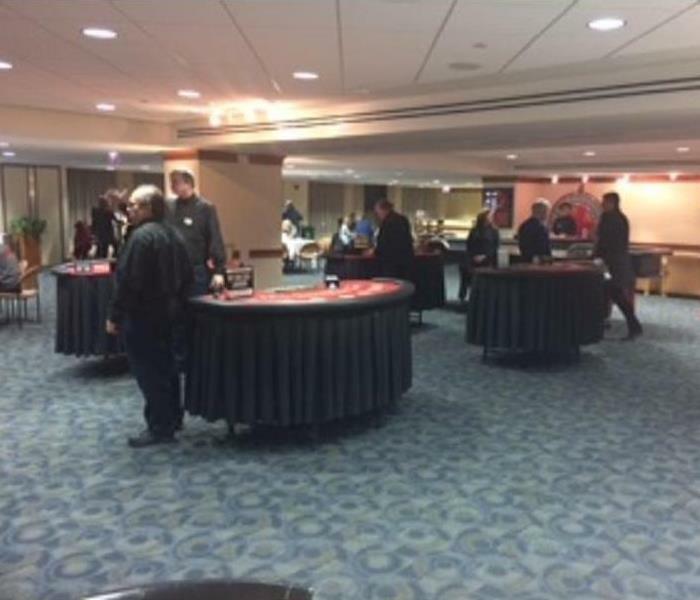 SERVPRO Bedford Park / Burbank recently participated in the Argo Higher Education Foundation's Casino Night at Toyota Park. We strive to help the community any way we can. Whether it's extracting water from a basement, getting rid of mold in a crawlspace, or supporting local causes, we are here to help! One more vehicle to get to you faster than any other restoration company. We can help you with your Fire/Water damage needs, Mold Remediation, Biohazard Cleanup and Emergency Board Ups. SERVPRO of Bedford Park/Burbank recently had the opportunity to present at the ASNOA (Agent Support Network of America) Conference. We showed examples of what we can do to clean up disasters big and small. 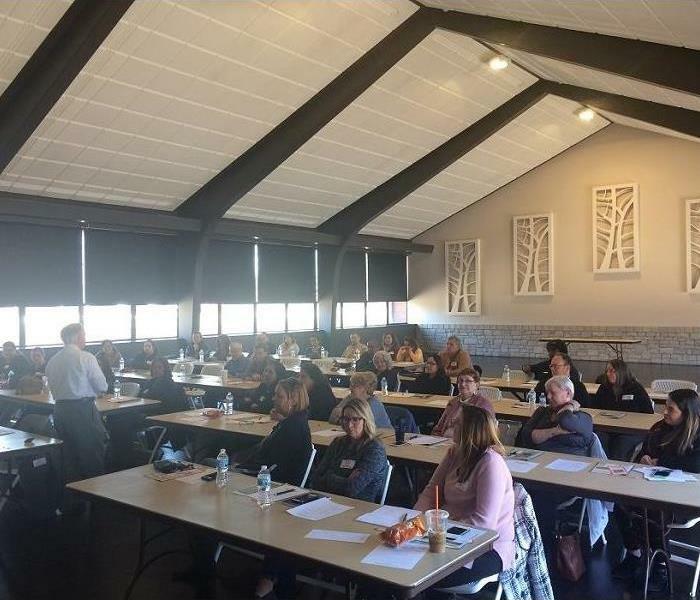 SERVPRO of Bedford Park / Burbank recently offered a free Continuing Education Ethics Class to about 60 licensed insurance producers. We do what we can to help those in the insurance industry! 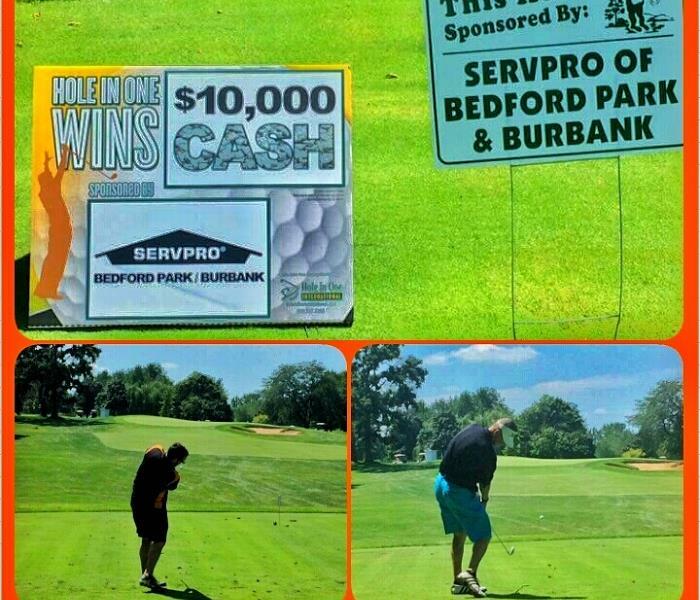 SERVPRO Bedford Park/Burbank was proud to host a hole in one contest at the Bedford Park - Clearing Industrial Association golf outing on 8/4 at Cog Hill. No one won the cash, but a great time was had by all!